Together with Culinessa we’ve created a new way of challenging ourselves with our blogs. Each month we start a new challenge around an dish or theme that has mostly Asian influences. With each challenge we announce the new one for the next month so can join us in our endeavours. These challenges are not meant as a competition, but to inspire us to try new recipes or to give our spin on a certain dish. As you can see our first Food Blog Challenge is about the Hawaiian dish Poke. It’s a raw fish salad that is somewhat similar to a sushi bowl or chirashi sushi. However you don’t necessarily serve poke with rice and in chriashi sushi the fish isn’t dressed with soy or other sauces. You can eat poke as a small starter, for lunch or as a main when served with rice. My recipe serves around 3 people. Start with preparing the sushi rice, follow the instructions on the packaging or use your own preferred method. Mix the rice wine vinegar with the salt and sugar until everything has dissolved. 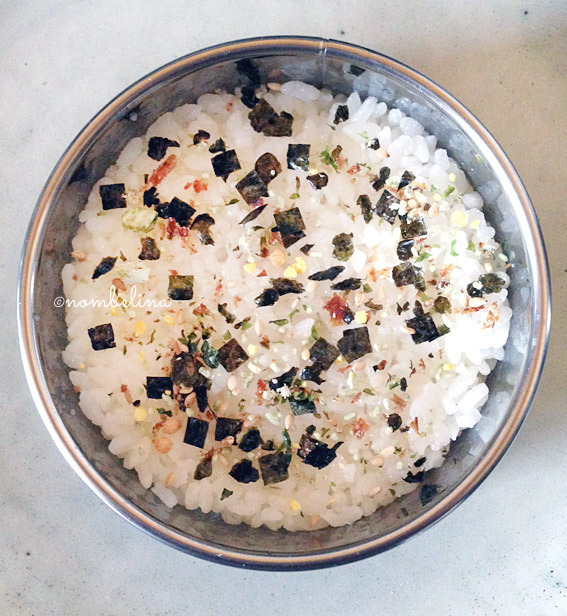 Season the cooked sushi rice with the vinegar mixture and fan the rice until body temperature. Mix the soy sauce, grated ginger, sesame oil and sricacha. Cut the salmon into not too small bitesize pieces and mix the salmon with the soy sauce dressing. Add the toasted sesame seeds and the green onion. 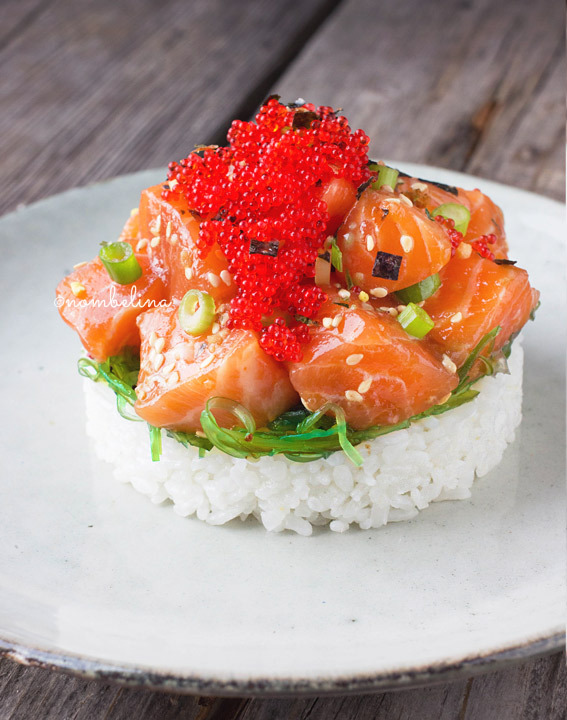 You can serve the poke with rice in a bowl or glass. I shaped the rice with a cooking ring. Fill the ring with the seasoned rice and lightly press to create an even layer. 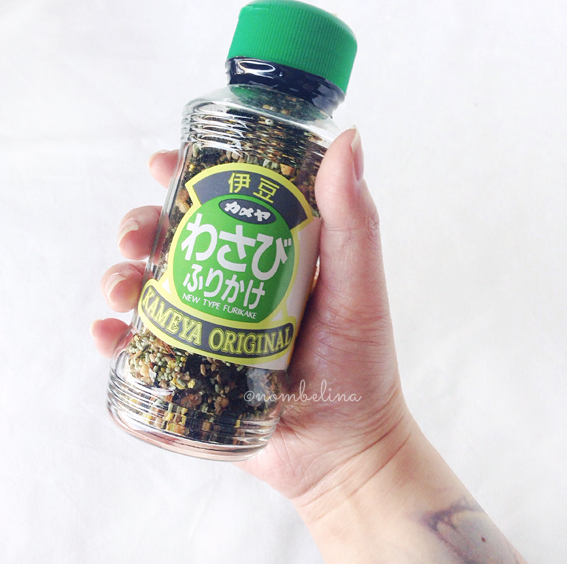 For extra flavour I sprinkle a little furikake on top. 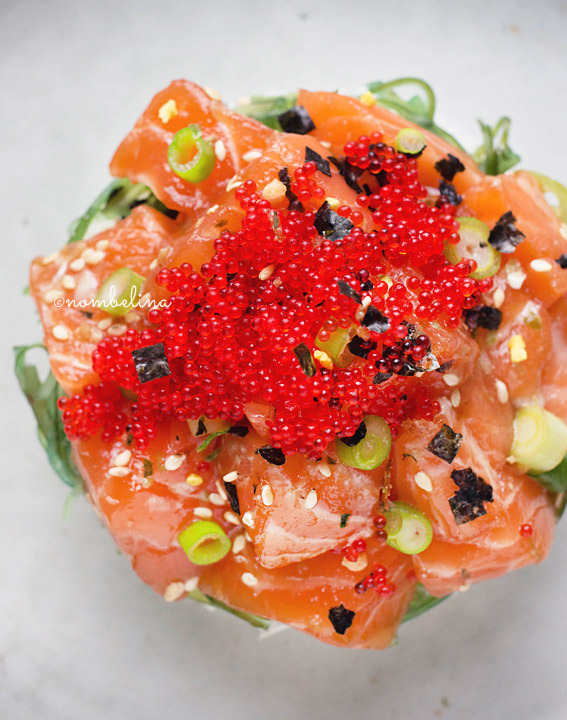 Spread some of the seaweed salad on top and finish it off with the salmon poke. For extra garnish I sprinkled a little more furikake on top and a few teaspoons of tobiko fish eggs. 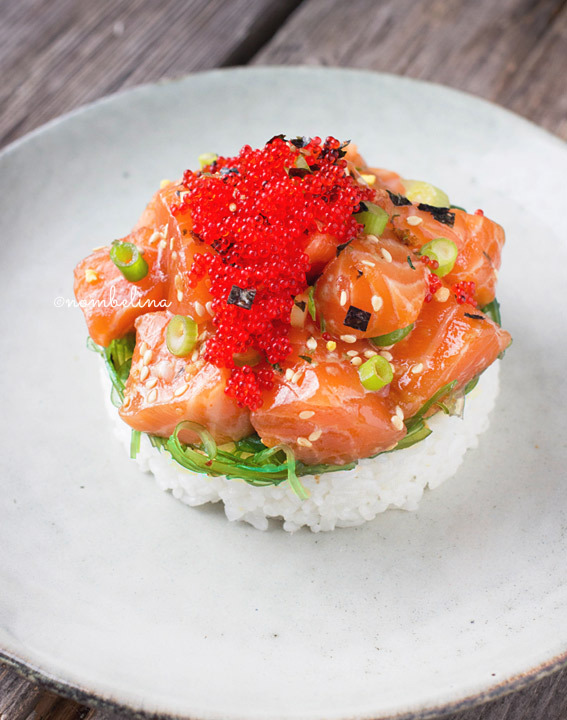 This poke was made with salmon, but you can use different kinds of fish and other ingredients like avocado and white onion. 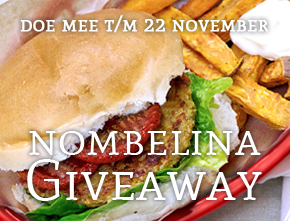 Would you like to take part in our Food Blog Challenges? Make your version of poke and be inspired by my or Culinessa’s recipe. Send in your link or photo and we’ll share your contributions along with our challenges. For Januari our next challenge is Korean Fried Chicken! A very different sort of KFC. 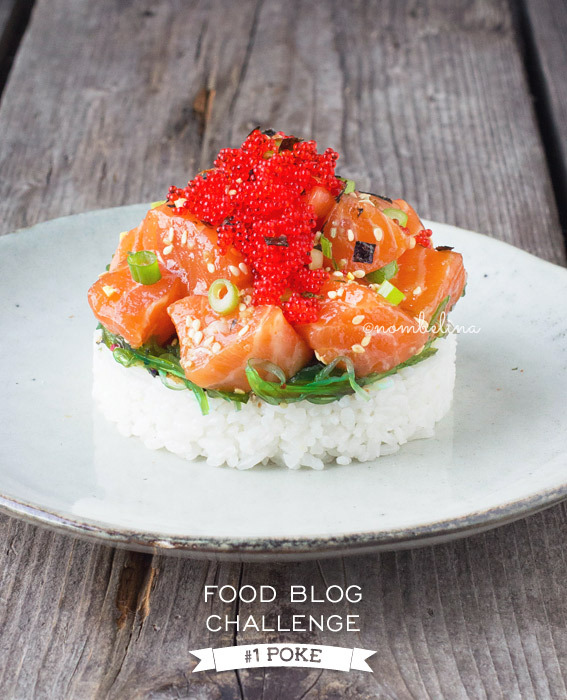 Join us in our Food Blog Challenges! – Publish new challenges in the last 7 days of the month. You can always take part in our old challenges and post the recipe whenever you want. The logo for the Poke challenge kan be downloaded here. Download the logo for the next KFC challenge here. Thank you! No, I don’t have any newsletters set up at this time.